Unfortunately last minute thunderstorms and a wet lawn forced us to cancel this event. 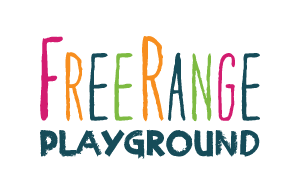 We hope to see you at our next FreeRange Playground! Heading to Conservatory Green to watch MCA Stapleton’s jazz concert with the Denver Municipal Band on Sunday, July 30, 2017? Stop by a little earlier to snag your seats, and bring your children aged 5 to 12 to our pop-up adventure playground from 6:00 – 7:30pm. FreeRange Playground will be toward the back near the concessions tent, across from the slide. We’ll have a play area for supervised, child-led, parent-free play with repurposed and recycled materials for 5 – 12 year olds. As a parent, you know your children and their comfort level. If you decide that your children need more support and want to stay with a parent, they are welcome to play on the nearby slide under your supervision. FreeRange Playground will remain parent-free.